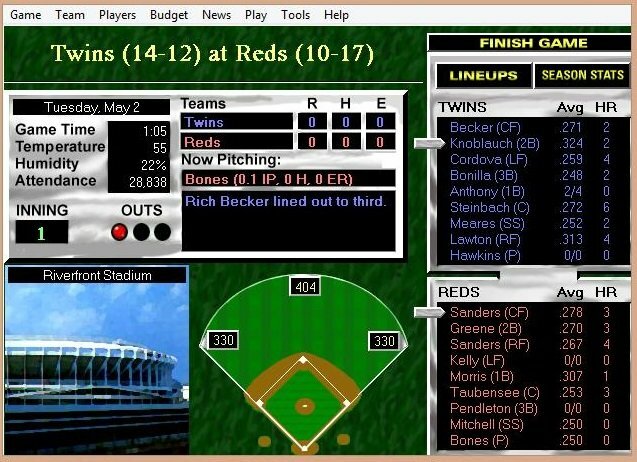 Baseball Mogul starts in the spring of 1997 with each team sporting a 25-player roster with even more players waiting to move up from the minors. The game’s speed can be adjusted to move ahead at various rates ranging from a single game at a time to an entire season. 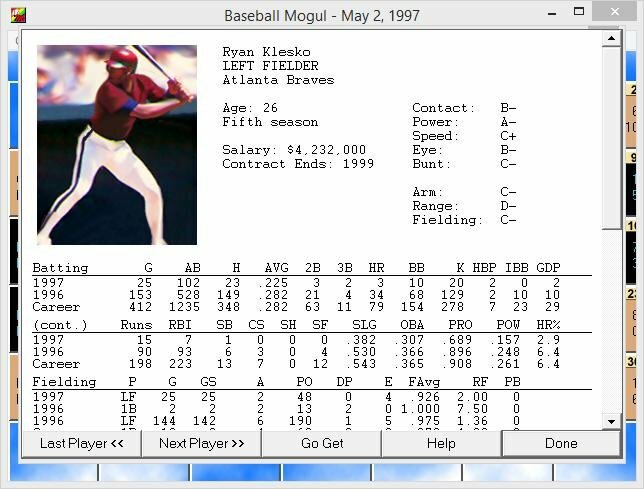 Although Baseball Mogul is very simplistic as far as graphics and sound, the game overall keeps players involved by supplying them with a wealth of information about how their decisions are affecting their teams. 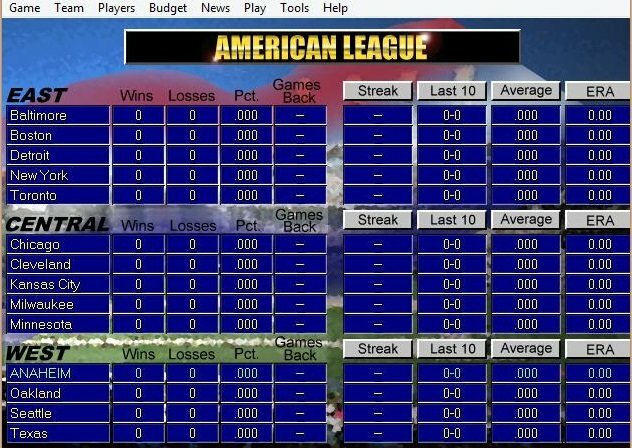 The dizzying array of information includes scouting reports of players and teams and news stories that detail games and league events including player awards, retirements, and Hall of Fame inductions. There is also a financial page that lets players compare their club’s financial bottom-line with that of other teams in both leagues. From the beginning, players must chart a strategy for their team. 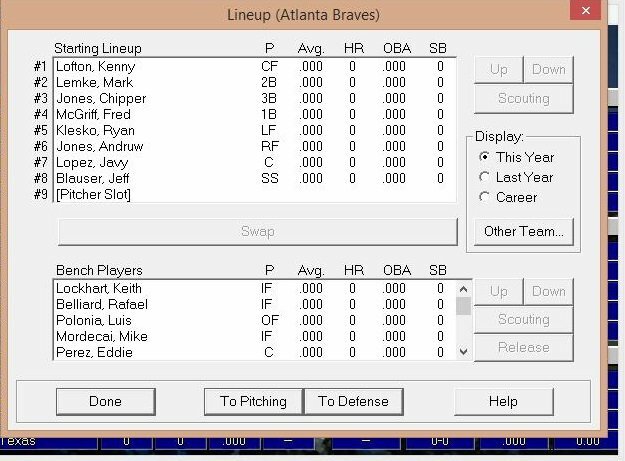 Players must first become familiar with their lineup. Here, each player is given a letter grade in various characteristics such as “speed” and “arm.” With these ratings, players can shape the team in such areas as the batting order, positions, and the pitching rotation. Putting the best players on the field can mean bringing up players from the minors or benching a star player who is not producing. Still, settling on a lineup is just a small part of putting a winning club together. Despite its simplistic graphics, Baseball Mogul does get it right when it comes to bringing home the pleasure and pain that has become free agency. 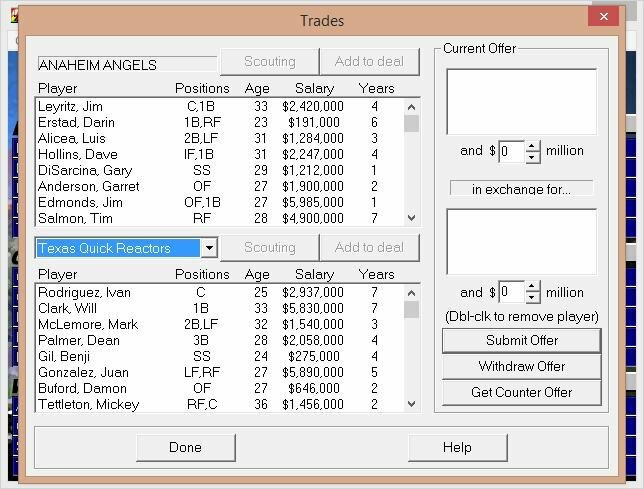 Players are allowed to put together complex trades and sign multi-million dollar players, hammering out deals with AI agents and managers.